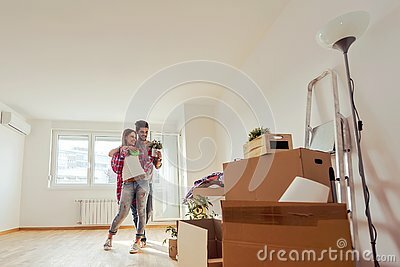 Beautiful couple just moving into new apartment. Moving in. Relocation couple.